The rubber duck shaped stress reliever is a fun way to advertise any business for any event! Customers and clients will love having this to help loosen up and relieve stress anywhere they go! 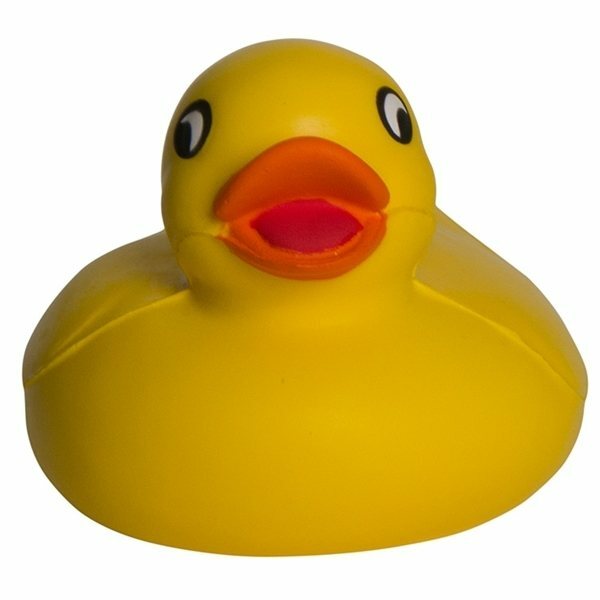 With your company’s logo, they will love to squeeze, toss and display this cute duck everywhere! the embroidery was expertly completed. The service received during the entire process was outstanding. the people who were receiving it were thrilled and loved it. Can't say anything bad about it thats for sure. Price was good also. We received very positive feedback about this product. the logo imprint was what I liked the most. I have no complaints about the product at all. Everything was great!